PwC , the world's leading professional services network, reported on October 3 gross revenues of US$29.2 billion for its worldwide network of firms for the fiscal year ended 30 June 2011, an increase of 10% over FY2010, and the strongest growth in revenues that the network has seen since 2008. At constant exchange rates, PwC's FY2011 network revenues rose by 8%. While increasing revenues, PwC has also continued to recruit key talent, increasing overall headcount to nearly 169,000. This focus on attracting the best people to PwC will continue in the year ahead with plans to recruit and train a record number of 20,000 graduates across the world in FY2012. 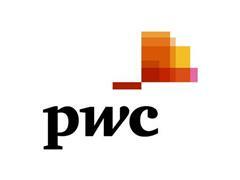 In addition PwC will offer training internships to 10,000 students to introduce them to professional services. Available material includes an edited package and still images.